WannaBe Idolz is a made up group of studio musicians, paying tribute to Seattle American Idol finalists Blake Lewis and Sanjaya Malakar. 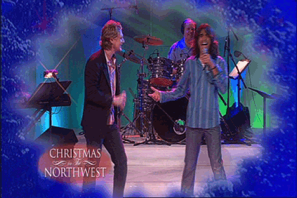 Sanjaya surprised our live audience at the taping of the 2007 Christmas in the Northwest Holiday Special. You can watch the fun for yourself.